Tilly Chandler is the diretor of the Lady in Blue Celebration. Yantis Green photo. 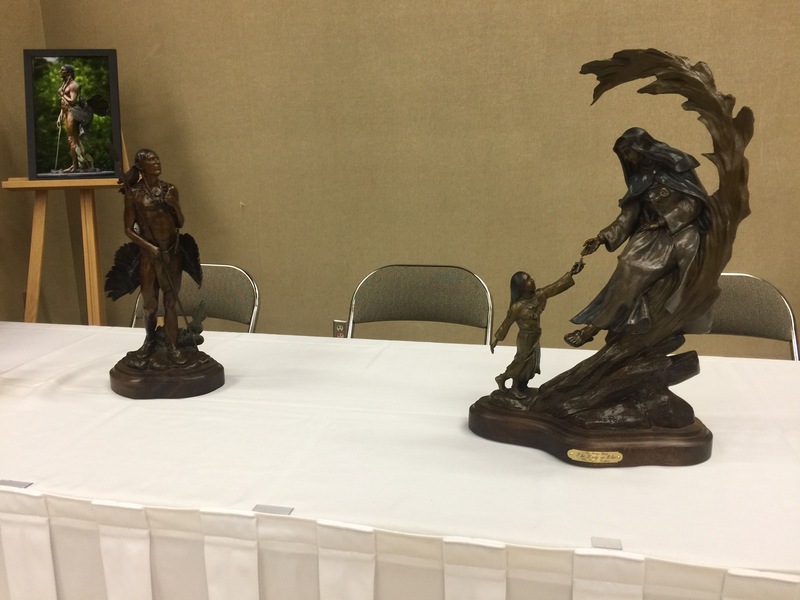 Models of the Bronze Statues to be unveiled on the Concho River. Yantis Green photo. 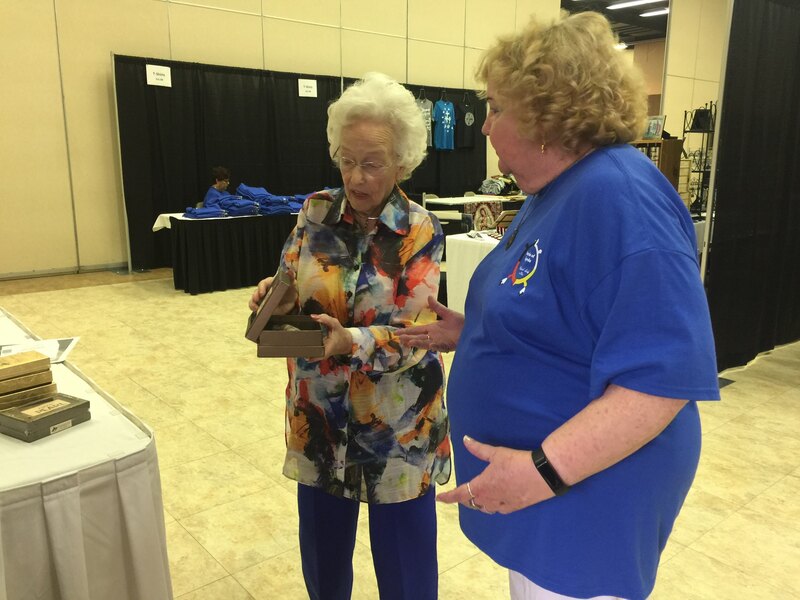 SAN ANGELO, TX -- Hundreds of area faithful are attending a Marian Conference Saturday at the McNease Convention Center as part of the tenth annual Lady in Blue Celebration. Tilly Chandler, director of the celebration, says they will reveal two larger-than-life-size bronze statues along the Concho River on Sunday. The bronze statues are the work of wold renowned sculptor Vic Payne of Cody, Wyoming. Payne is in San Angelo for the unveiling. Attendees today are hearing from several speakers about Sor Maria de Jesus de Agreda ( The Lady in Blue), her appearance is known in West Texas, specifically San Angelo Texas and other areas to the Jumano Indians. There was a musical ballet Friday night about the Lady in Blue and there will be a screening of a documentary film about her tonight. 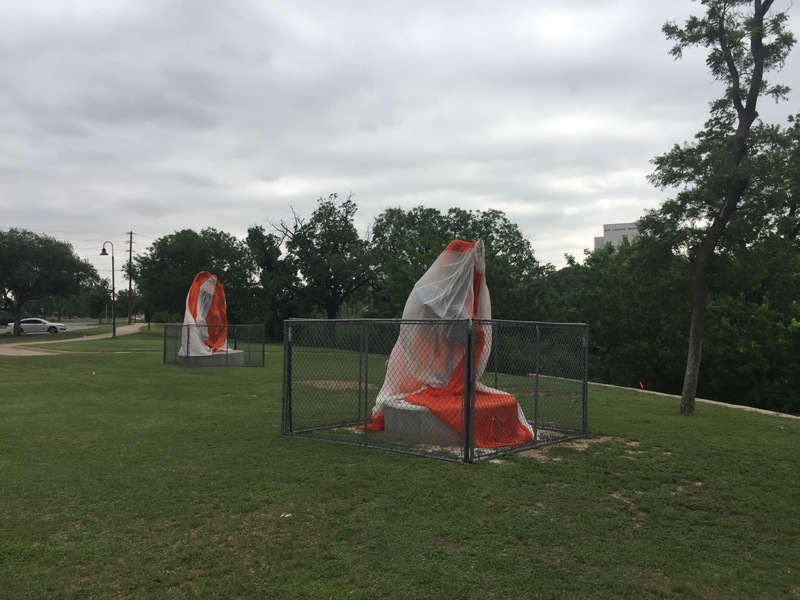 The unveiling of the statues is Sunday afternoon beginning at 2 p.m. along the Concho River.